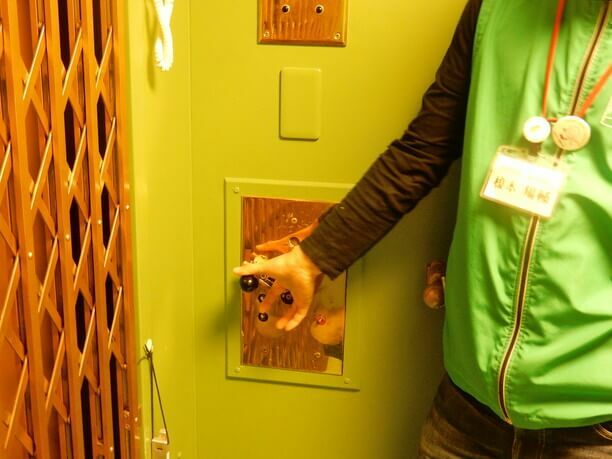 Take a ride in the oldest elevator in Hakodate at the Regional exchange town planning center! 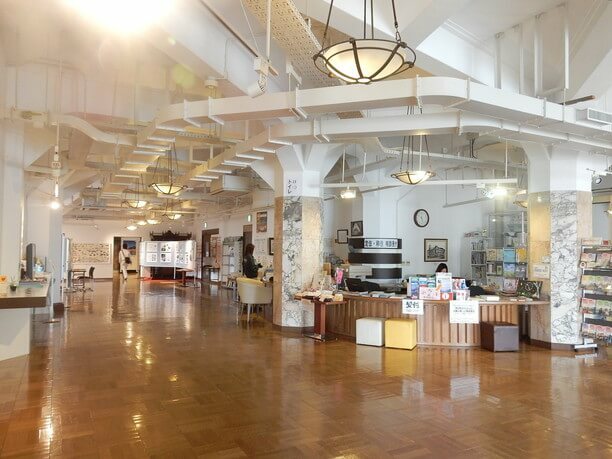 “Hakodate City Regional Exchange Town Planning Center” is where information on Hakodate and neighboring areas including tourist information is gathered. 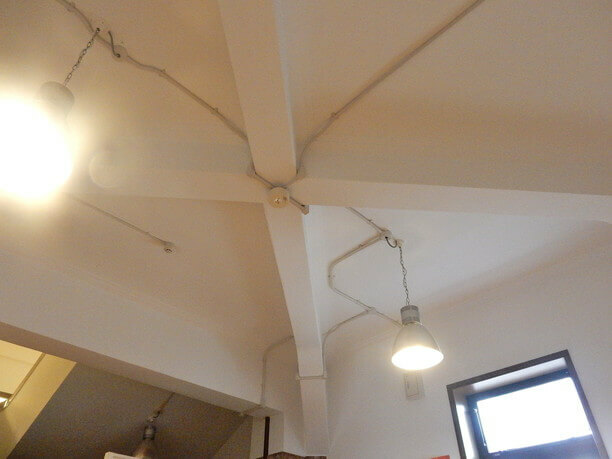 It is located in the space that was once the Marui-Imai department store. It is a relaxing space where you can relax and get information about the town and nearby tourist attractions. 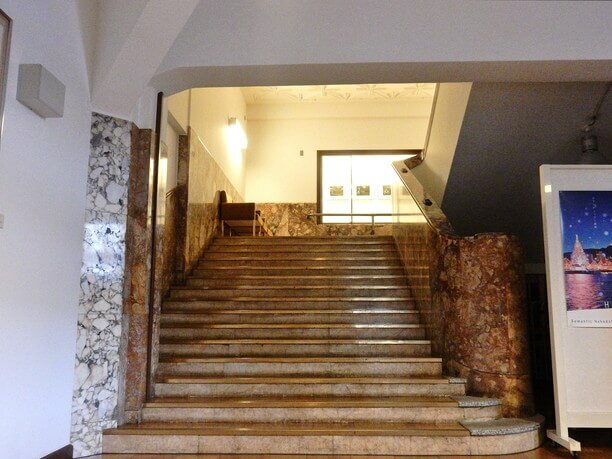 This historical building is filled with nostalgic items and can be visited freely. Inside you can ride a manual elevator that was in use since department store was built. It is a great place to experience the appeal of this historic building while planning your journey. 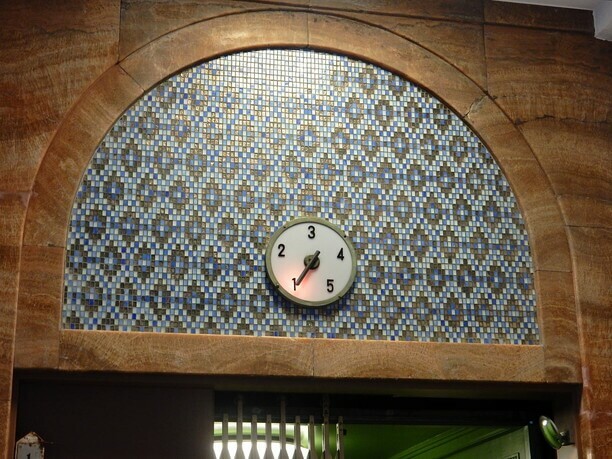 This elegant building was built as a department store! Even in the west area where there many attractions are gathered, the Hakodate Municipal Community Planning Center (formerly Marui Imai department store), located near the Jujigai station stands out. 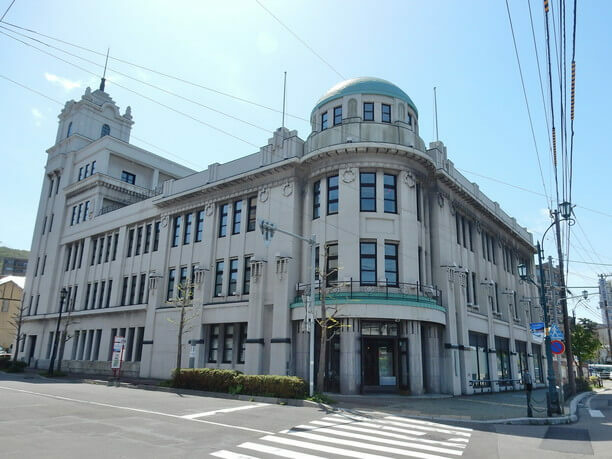 This building, full of rounded elegance was built as the Marui Imai department store in 1923. Its white walls, high ceilings, and elegant stone staircases, are all quite impressive! It was made of reinforced concrete to prepare for repeated fires, but in the big fire of 1934, the inside was destroyed. When rebuilding, in order to make it more resistant to fire, they increased the number of pillars and cross beams in the ceiling. 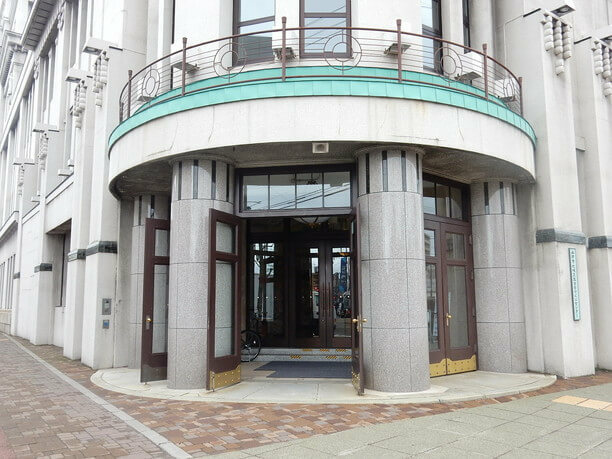 After finishing its role as a department store, the building served as the Hakodate City Suehiro branch office building. 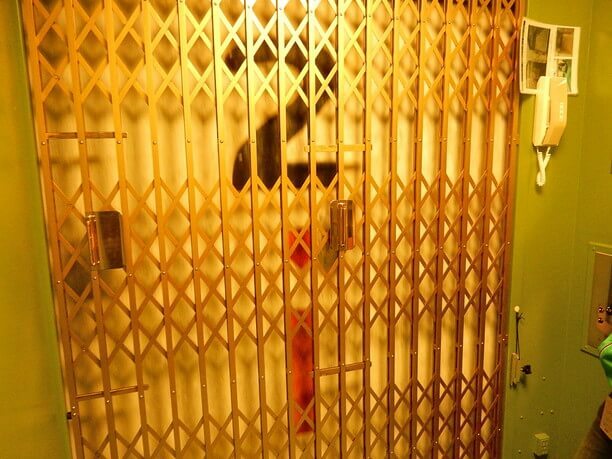 You can ride on one of the oldest elevators around! 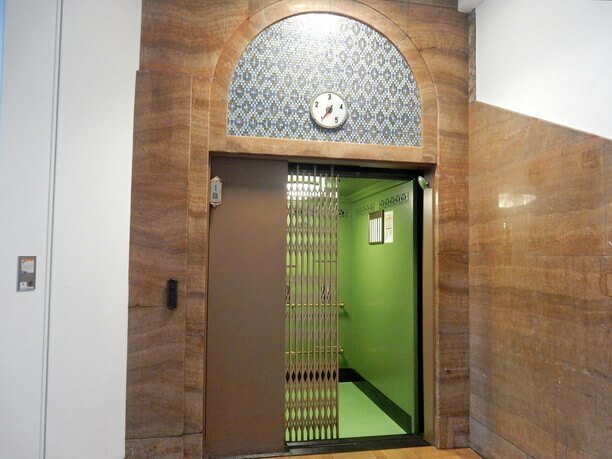 One of the biggest attractions of this building, is its manual elevator that was in use in the department store. It began operation at the time of the reconstruction in 1934. 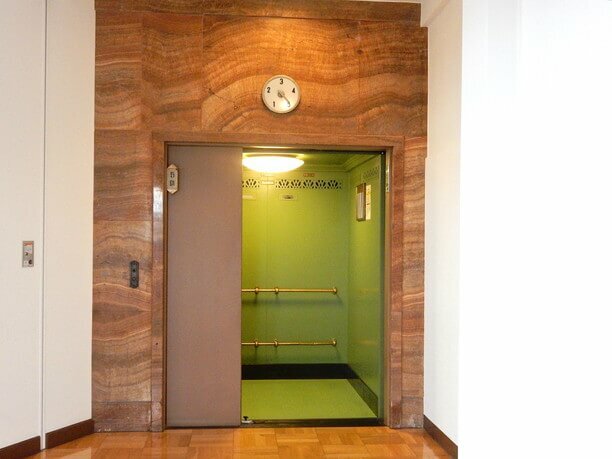 It is known as the oldest elevator in northern Tohoku. 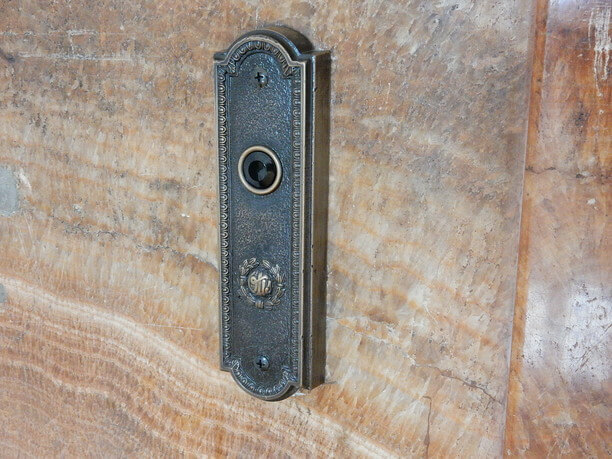 Its round dial showing the floor, heavy call button, metal inner door, all add to its nostalgic appearance. Although it is old, this Otis elevator is still active. If you talk to the staff, you can actually arrange a ride in it. 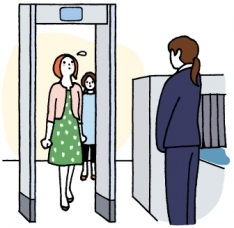 Close the double door and turn the handle steadily and the powerful elevator starts to move. While moving the staff will tell you the history of the building, point out some of the sights, and tell you some fun stories. It will make the short journey to the top floor 5th floor even more enjoyable. You will be impressed by the view from the observation room overlooking the city! The 5th floor, which is a gallery, has an open space where you can enjoy the view. The view is good because there are no high buildings around. 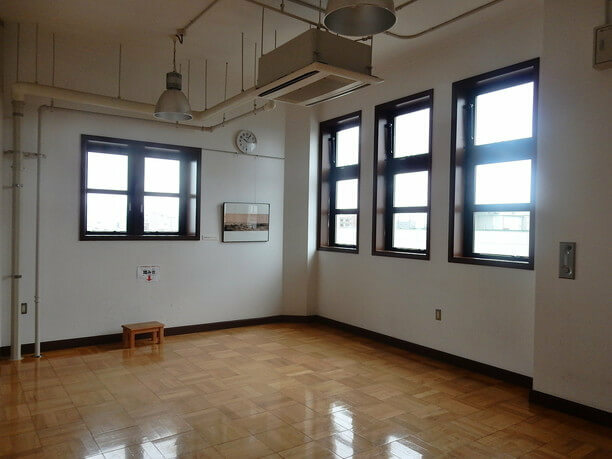 The outdoor scenery overlooking the surrounding mountains such as Hakodate-yama and Komagatake can be seen clearly from the window. From the window in the west you can see the area of Motomachi which is backed by Mt. Hakodate. 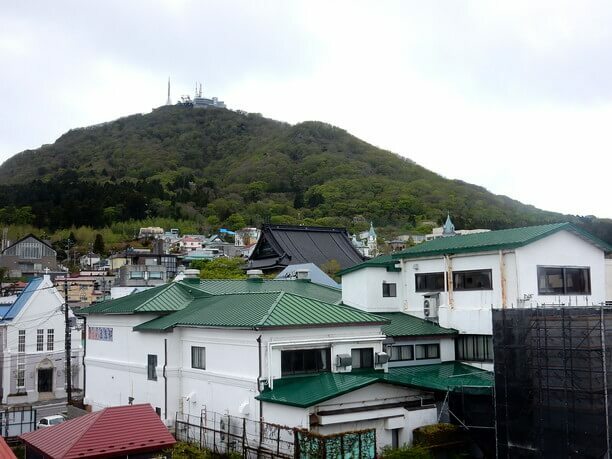 You can also enjoy the view of Goto Shimayama head office, the roof of the Catholic Motomachi church, and the Shinzō Otani Hakodate Besso with its beautiful roof tiles. 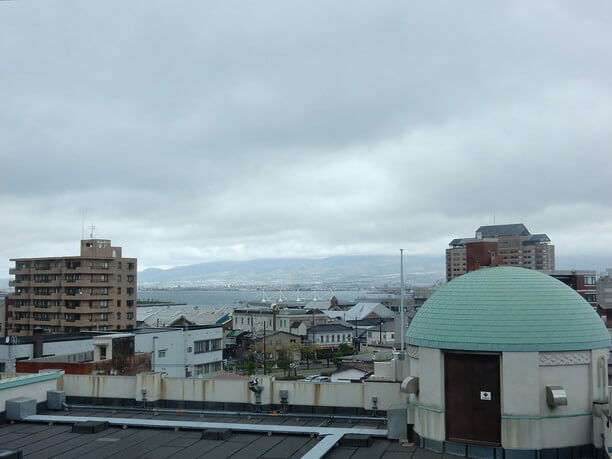 From the north side window, you can see Hakodate Bay in the distance. There you can see the Seikan Memorial Hall Mashumaru and the large cruise ship. Also, in front of you, there is the dome shape, old observation room protruding from the roof, which is said to be the symbol of this building. 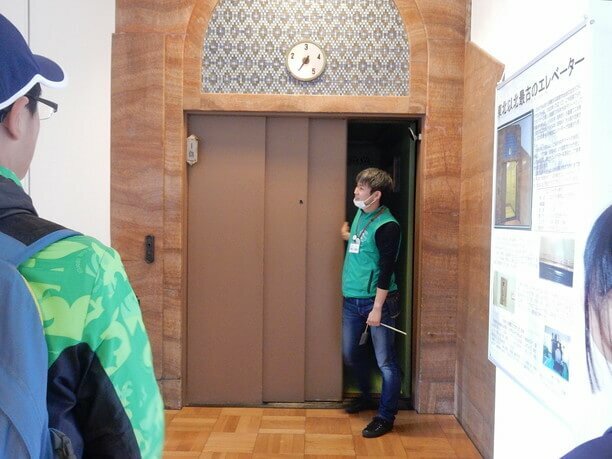 If you ask staff guide who accompanies you, you may be able to hear various stories about the historic buildings you see and the history of Hakodate. With all the tourist information available the Center works well as a base for your travel! This Center supports citizen activities and provides a facility for tourist information. 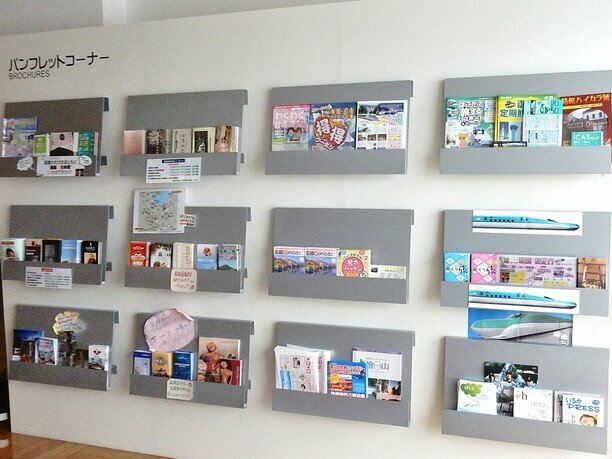 On the first floor, sightseeing pamphlets covering areas throughout Hokkaido are lined up (mostly focusing on Hakodate and Donan). There are some rare things that you cannot get at other tourist information centers. 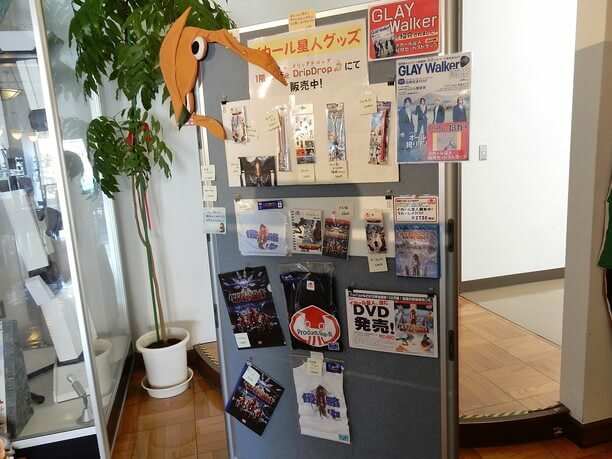 In addition, they also deal with souvenirs such as Ikaru star merchandise that appears in topical Hakodate PR videos. 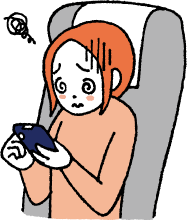 Since the amount of free space is quite substantial, there is plenty of room for you to relax comfortably while planning a trip with the help of a pamphlet you like. It is a good idea to consult with the staff who know the streets and can help you plan a course. 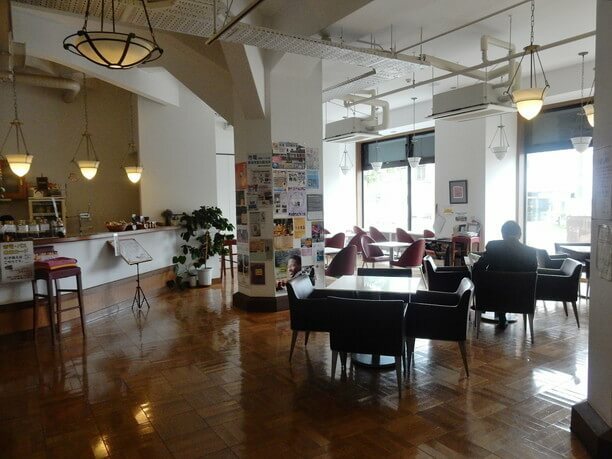 There is also a coffee stand in the building, so it is a convenient place to take a break from your travels. Just a short stroll from the Jujigai station and other fascinating historical buildings this is a great base for travel and enjoying other sightseeing spots. All the staff are knowledgeable. There are new discoveries no matter how many times you ride the elevator. In the event such as Hakodate Christmas fantasy the building will be lit up. The appearance of the building at night is wonderful! The center is located just a short walk from the Jujigai station so access to sightseeing spots in Motomachi and the Bay Area is also good. Its location makes it an ideal base for sightseeing. The view from the window on the 5th floor is very refreshing! If you ask the staff to teach the history of the city and trivia of Hakodate, walking in town will be more fun. Ikaru star merchandise is great as a souvenir. Enjoy the port town’s million dollar view of Hakodate at night! 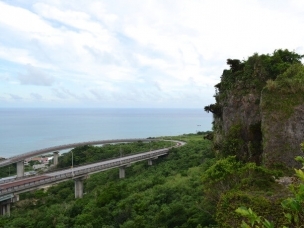 Enjoy sightseeing around Hakodate Town on an electric tram! 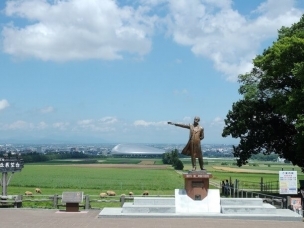 Let’s go to the new Hakodate Hokuto station to see the home of the Hokkaido Shinkansen! 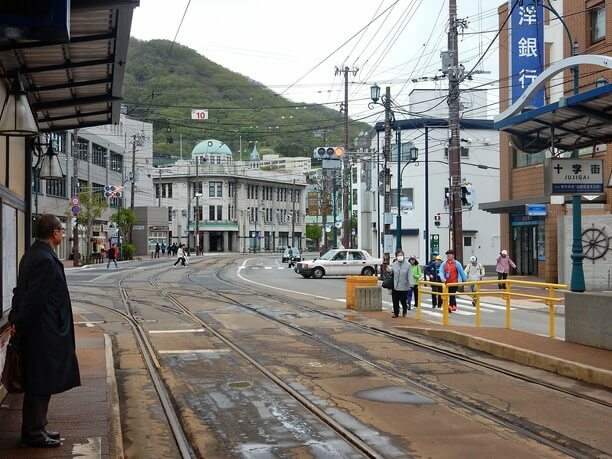 The Hakodate city tram Traveling smoothly by riding the Hakodate city tram is convenient for sightseeing!